Manage users, groups, organisational units, DNS records and computers in a centralized Active Directory infrastructure. applications to authenticate against it. It is fully compatible with Microsoft Windows client stations (XP, 7, 8) and represents an alternative to Microsoft Active Directory Server. 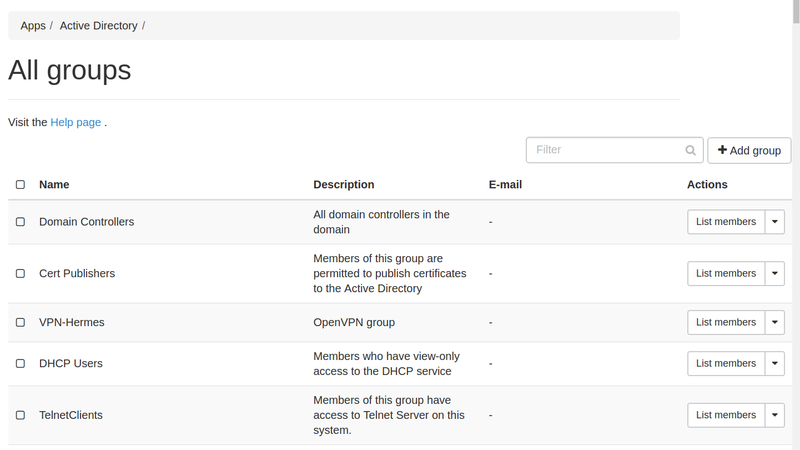 Users, groups, VPN certificates and DNS records are managed through a web interface, on the VapourApps dashboard. The system implements a OpenVPN server and for every user a VPN certificate can be generated and sent to e-mail or stored locally on the user’s own storage. This virtual server, is based on a pre-configured Debian system and the latest stable version of Samba. VapourApps Directory is an alternative to Microsoft Active Directory. 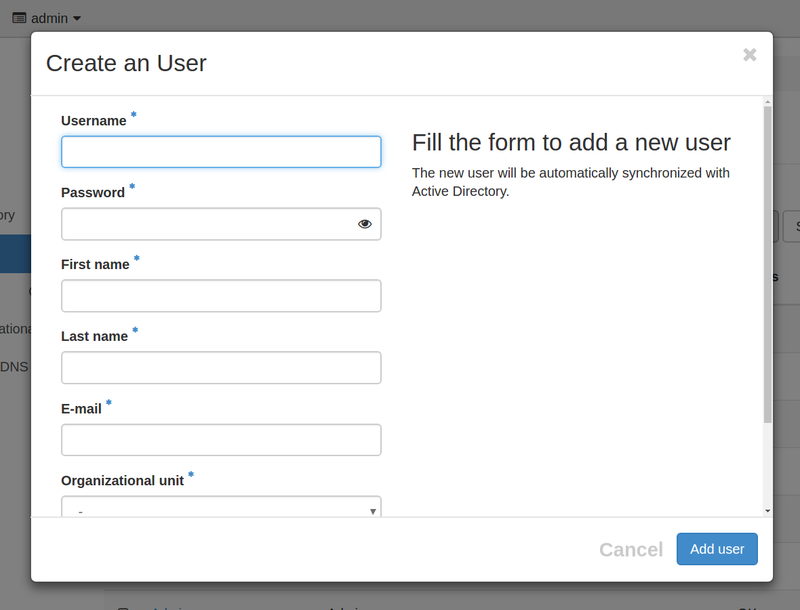 It allows you to manage corporate user accounts and groups, which the employees use on their computers. The system can provide authentication for E-Mail service and all other applications which can authenticate through standard protocols – Kerberos, Active Directory or LDAP. If you want to provide secure remote access to your employees or other parties – you can relate user accounts with VPN certificates, which the employee can install on his computer. OpenVPN is compatible with Microsoft, Linux or MAC on the client side. That way, employees can access data from remote locations securely and without using external applications or services. upon the amount of users and data. For up-to 100 users, 10GB Hard disk, 1GB RAM, Ethernet interface and 2GHz CPU should suffice. You should download the image from our website and set it up as a separate server. You will be prompted for the domain name after the initial boot of the server. Information regarding your initial credentials will be provided on the VapourApps dashboard, on e-mail or on screen. How to join a Windows computer (XP/7/8/10) to the Directory? You just need to go through the same process as if joining it to a regular Microsoft Windows Domain Controller. You don’t need to install anything extra or configure anything extra. VapourApps administrator can set passwords for the users and enforce change upon first login. Users can change their own passwords from their own computers as well. Password complexity and password expiry can be configured on a domain level (for all users).